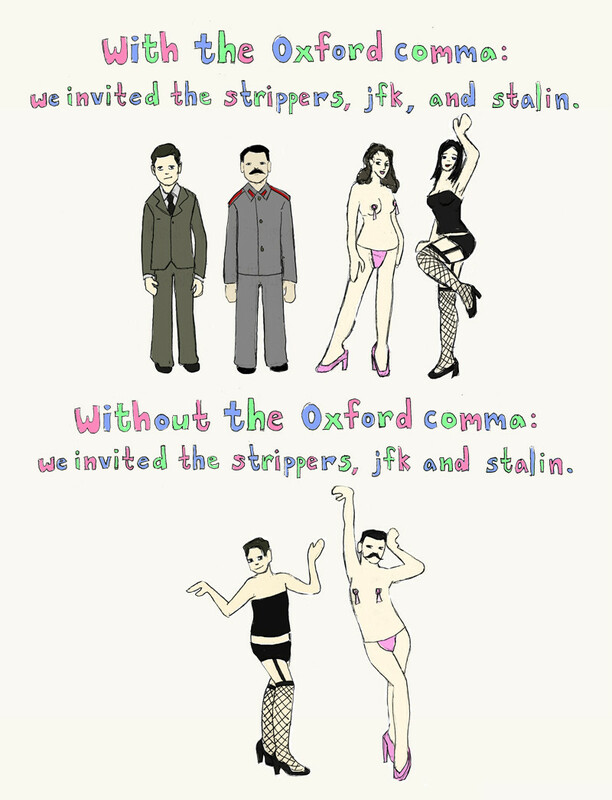 As an instructor of first-year writing, I root for the Oxford Comma. Yet, having been forced to comply to AP, MLA, and APA styles when writing papers in different disciplines, and having been an editor for our campus newspaper, I understand how different fields want to have their own rules. But inconsistency may cause troubles in communication, especially in the publishing business. Rhetorically speaking, a writer should be aware of his/her audience when deciding whether to use the serial/Oxford Comma. Knowing who you are writing to and apply the appropriate discourse and styles for the specific community helps boost your ethos as a writer.